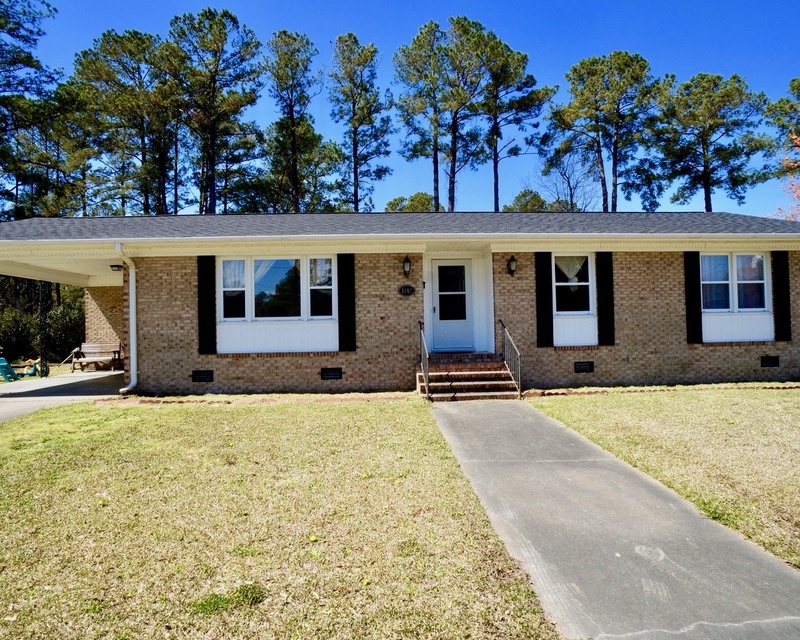 Charming and well maintained brick ranch in the Southwood subdivision. Large Living Room, Kitchen, and Dining Room / Family Room with gas log fireplace. Laundry room with storage entry to home through carport. Kitchen has plenty of cabinets and countertop space and is open to the Dining Room / Family Room. Enjoy the spacious backyard, which includes a large storage shed. Master Bedroom suite with full bath. 2018 Real Estate taxes only $1,153.43 per year. On city sewer. Roof replaced in 2018. Close to all amenities: hospital, community college, restaurants, shopping, schools, parks and about 5 miles to Downtown Historic New Bern waterfront.